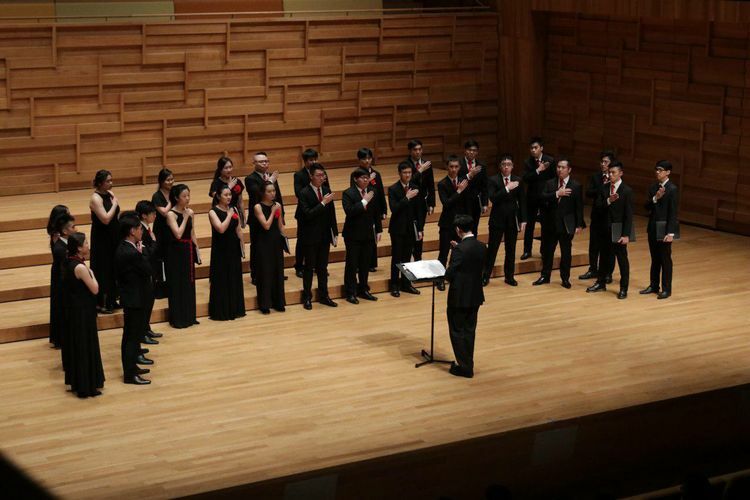 In this delightful evening in the familiar concert hall of SOTA, Raffles Singers would like to share the music that we will be bringing to the international stage as we represent Singapore in an upcoming competition trip to Europe this June. Indulge in beautiful and heart-warming compositions by our conductor Toh Ban Sheng, telling tales of a rainy day in Southern China, lovers on a mountain top and the heart-warming story of a painter who battled cerebral palsy through unwavering faith. Experience the evocative works of renowned composers and their lesser known works—feel the raw anguish and tenderness in Z. Randall Stroope’s unparalleled arrangement of Christi Mutter, and dance to the sound of the drums and victory in Sydney Guillaume’s rhythmic masterpiece Kalinda. This year, we will also have Raffles Chorale, the choir of Raffles Institution (Years 5–6), as well as the Nowon Woman's Choir from Korea, to present a short selection of their own pieces. 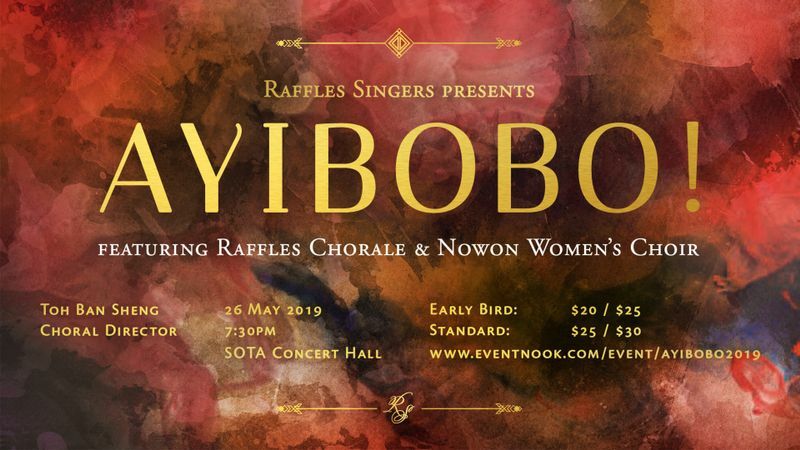 Join the Raffles Singers on this night as we strive to spark joy and bring choral music to you as a unique spectrum of sounds, visuals and experiences; one to cherish for a long time to come. This concert is eligible for the NAC Tote Board Arts Grant subsidy. Students may wish to approach their school choir teacher in-charge to ask about subsidies for purchase of concert tickets under the NAC's Public Arts Programme.